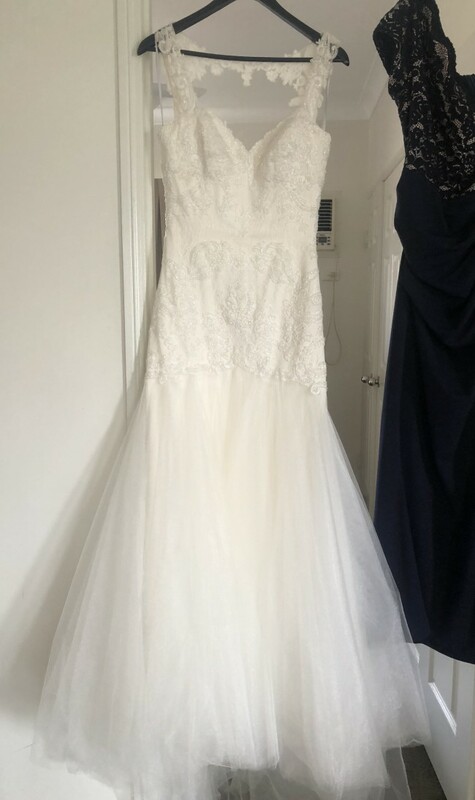 Watters Ivory wedding dress - worn July 2018. Paid $3,000. Have had alterations done to fit size 12 only sleeves and sides no hemming touched. Amazing quality. HAS NOT BEEN DRY CLEANED. Only due to selling people have tried it on. Underneath is where it needs cleaning the most. Selling due to cleaning out and would not fit in our cupboard space. Comes with Watters bag. Can send measurements if needed. Price has dropped to accompany no dry cleaning. sleeves to make it come up above breasts and sides to make it come in more.